“Agigma Zois” supports both patients with cancer and their families, by trying to achieve optimal survival and living conditions for them. 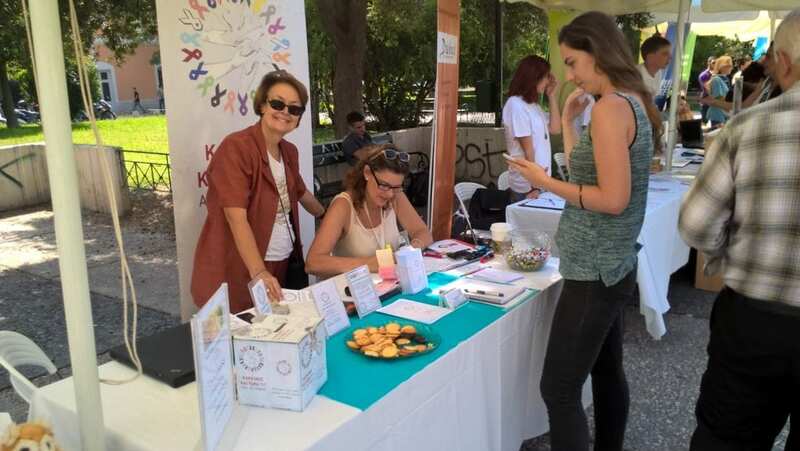 Τhe Hellenic Initiative (THI) donated $17,000 to “Agigma Zois”, supporting the significant social work it performs with cancer patients and their families. The donation will cover the annual salary of an on-field Project Administrator, which will assist not only towards reducing the time needed to process requests, but also in the development of new collaborations and the increase of annual Prevention and Information activities from 12 to 15, aiming to raise the number of supported families by 65% within 2019. “Agigma Zois” focuses on oncology patients and aims to contribute to the medical, social, emotional and spiritual support of them and their families. Given that prevention and knowledge are the most valuable weapons against cancer, “Agigma Zois” works towards two directions: informing about cancer-related issues and the power of early diagnosis, as well as highlighting the available means of treatment and their possible results. Its work has been widely recognized locally and internationally, with several awards while in June 2018, “Agioi Anargiroi” Oncology Hospital offered “Agigma” a dedicated spot in their oncology department, becoming the first non-profit organization in the field of cancer patients’ treatment, provided space in a Greek public hospital. “Agigma Zois” offers a variety of free-of-charge services among which personalized support, informative activities, pre – symptom checks and psychological support. It also collaborates with oncologists and oncology centers both in Greece and abroad. Furthermore, it provides the medicines required for chemotherapy to financially challenged or lacking medical insurance patients, also combating the local market’s shortage in medicines due to the financial crisis. Moreover, it is a pioneer on the support of cancer patients by providing not only the choice for a second medical report, but also by ensuring a second, free-of-charge biopsy. In its 5-year course until today, more than 51.000 people have benefited from the foundation’s services and activities while regarding direct support, more than 600 families have been assisted and more than 1.400 free examinations have been provided. Additionally, “Agigma Zois” also runs two extra programs named “Cancer and the 3rd age” for elderly patients and “Support of oncology patients in remote areas”. Mr. Michael Printzos, THI’s Program Director stated: “The Hellenic Initiative is proud to assist Agigma Zois as it stands by cancer patients and their families through a crucial period of their lives, from offering psychological support up to managing the paperwork and getting, literally, hand by hand throughout the whole treatment process with them. It is a shining example of true humanitarian dedication”. Mrs. Christina Nomikou, Director of “Agigma Zois” stated: “We are grateful to The Hellenic Initiative for its trust and support. Spreading the importance of timely diagnosis in treatment effectiveness is crucial for our day-to-day work at ‘Agigma’, as also personalized support and support to patients in remote areas. The next day is never late and loving each other means standing by each other, especially in times of need and, although it’s hard, especially for those immediately tested, when we stand united, we can achieve a lot more”.